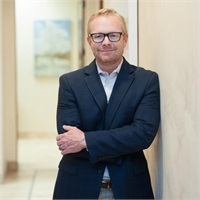 Shawn Bryan brings over 25 years of financial services and operations management experience to Rembrandt Financial Group. He is an Investment Advisor Representative with LPL Financial and maintains his Series 7 and Series 66. In his capacity as Vice President and as a Partner at Rembrandt, Shawn has a dual role of working with clients and overseeing operations. He works directly with the advisor team to ensure clients' needs are addressed and retirement plans are implemented and reviewed. Shawn works with the advisor team to develop the Company’s investment strategies and to complete the necessary research due diligence. He manages the day-to-day operations of the firm and works with Daniel to grow the company through strategic planning, systems development, and marketing. Shawn moved to Texas from Oklahoma in 1988 and has been an Austinite since 1990. He finished his Bachelor of Science degree at Texas State University. He entered the financial services industry in 2006 and has spent his time growing and developing independent boutique advisory firms. Shawn lives just south of Austin with his wife Whitney and their young son, and he has a daughter who is attending the University of Texas at Austin.